A young Simon Tortell donning the Maltese national team outfit. June 15, 2012 will always stick in my memory as the day when God called to his side one of the most exciting and promising footballers of the late 1970s and 1980s. I say promising, because Simon Tortell did not fulfil his full potential. He was at the top of his career for Sliema Wanderers and Malta when he decided to quit the game to seek a career in law. It is a proven fact that boys who do not do well at school often make the best footballers. This does not mean that footballers are not clever. On the contrary, to play the game one needs both skill and brains but many times intellectual activities interfere with the development of would-be professional players and few intellectuals actually make the grade. Tortell was born in Sliema on August 8, 1959. A keen sportsman, he played waterpolo as well as football. In the summer game he played for Sliema ASC and was reserve for goalkeeper Michael Soler but football was by far his best proposition. In fact, Tortell was a fine forward but it was clear he was more interested in his career as a lawyer and missed several matches for the Wanderers and the national team because of his studies. When he finally graduated in May 1994, Tortell immediately retired from the game. He was still 24 at the time and at the height of his career. 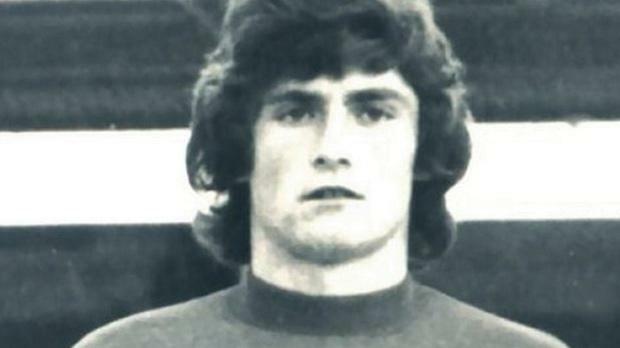 Tortell made his first-team debut for the Wanderers in season 1975-76. He played 63 league matches for Sliema, scoring 18 goals in the process. He won the championship in 1975-76 and the FA Trophy in 1978-79. This was possibly Tortell’s greatest moment in sport. In the 1979 FA Trophy final, he scored the two goals with which the Blues beat Floriana 2-1. Inspired and encouraged by his father Peter, himself a Sliema player in the 1950s, Tortell was picked three times to represent Malta in UEFA youth tournaments. Making his full national team debut against Wales (European Championship, October 1978), he went on to don the national team jersey four more times, including the matches against Holland (EC, December 1983) and in the notorious match against Spain (EC, December 1983). He was one of only a couple of players who came out of that game in Seville with his head held high. After his retirement, Tortell served on many sporting committees and in the early 1990s he was also chairman of the National Council of Sport.